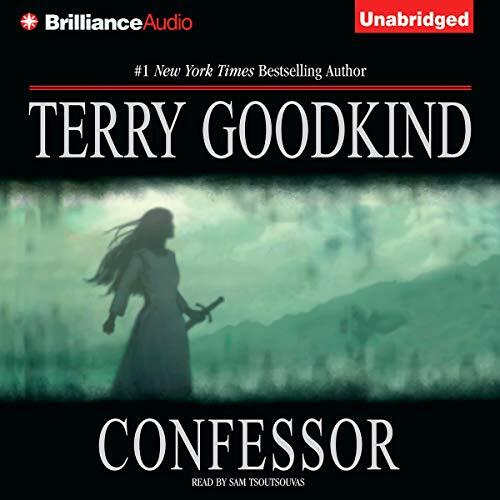 Terry Goodkind's bestselling, epic fantasy series Sword of Truth continues with Confessor. Descending into darkness, about to be overwhelmed by evil, those people still free are powerless to stop the coming dawn of a savage new world, while Richard faces the guilt of knowing that he must let it happen. Alone, he must bear the weight of a sin he dare not confess to the one person he loves…and has lost. When next the sun rises, the world will be forever changed. Epic edge: listen to more in the Chainfire Trilogy and the Sword of Truth series. Get the freakin names right! I love this story, it has been a great journey so far. I only wish that whoever is organizing all the different choice actors have a little cheat sheet explaining to them how to pronounce the names of main characters and locations. It has bugged me beyond belief the entire time. I'm going to miss them all. I can't be objective at all, so I will just say that even though there were some terrible books in the mix, this series has been amazing. The first book, narrated by Sam also, kicked it off brilliantly and this trilogy really brought it home so well. Thankfully Part 2 & 3 were narrated by Sam as well. His emotional range and absolute mastery of narration made it everything it had to be. I always get unabridged versions of my books, however, if ever there was a time for an abridged version the Chainfire Trilogy is it!!! OMG....some sections just go on and on! Don't get me wrong I love these books but why 3 books were needed for the Chainfire piece, I have no idea!! Whew...I'm glad I'm finally done with them!!! A book that finally means something! While at times, Goodkind's writing can be drawn out and lengthy, the message he ultimately delivers in this final Sword of Truth novel is life-changing. The struggles that Richard, Kahlan, and all their friends overcome is simply stunning, and I cannot get these characters out of my head. 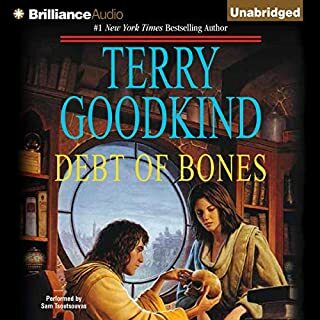 After reading this series, every other book I touched seemed to be either frivolous or pointless (which is not always bad), but Goodkind's work really means something to the human life and spirit. I'm not a religious person or anything, but the simple messages of truth, kindness, and freedom are so moving in the summation of this whole series. If you are looking for a group of people that will change your life completely, I highly suggest getting to know Richard and Kahlan. These two are my literary heros. Bear with Goodkind's lengthy and often repeated descriptions, and discover an incredible world. 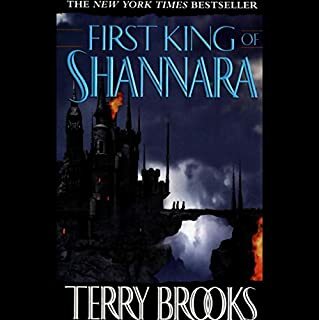 I became interested in this series for two reasons: The first is that I thoroughly enjoyed Robert Jordan’s Wheel of Time series, and wanted a replacement while I waited for the final book to be published. The second reason is that I watched the Legend of The Seeker television series and wanted to see what happened once the show was cancelled. I was disappointed because in my opinion, the show was better than the books. 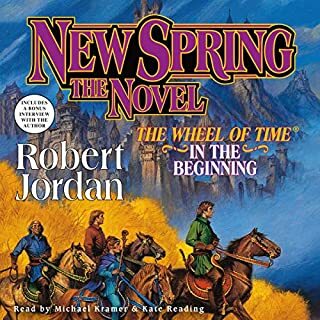 This series was also a poor replacement for the wheel of time series. 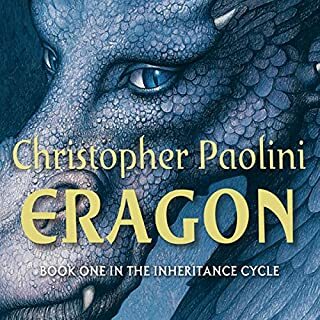 I like the general premise of the books like most of you who made it this far in into the series, but at times I wanted to pull out my hair in frustration. The tediousness of certain parts of Richard and Kahlans lives was astounding. Goodkind spent a good portion of each book repeating long drawn-out speeches discussing the sanctity of life. I get it life is good. He also repeated the same points several different ways and times within each speech, within each book. In addition to this, Goodkind would repeat facts, and remind the audience of events that had happened within the same book several times. I found this to be extremely irritating. I understand that the audience needs some reminders from book to book, but come on. We don’t need those reminders several times within the book we are currently reading. 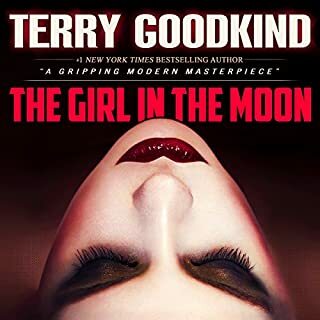 Goodkind appears to have the same respect for the intelligence of his readers and listeners as he does for the masses in his books. He acts as if the masses are morons, and that the solutions that Richard come up with are invaluable. However, most of us were able to predict the solutions that were so painstakingly discovered by Richard and Kahlan. If this were not annoying enough, Goodkind then generates random phenomenal solutions that just appear from the sky. One minute Richard and his followers will be screwed and then all of a sudden Richard did some fantastical thing that saves them all. The audience is then left wondering what the hell just happened. 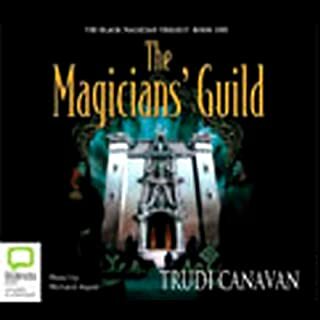 The concept of magic in this series is also badly portrayed. Goodkind seems to just string a lot of long scientific and impressive sounding words into a sentence, hoping that the confusion will just make the audience assume that they make sense. They don’t. The concept of kahlan was also irritating for me. 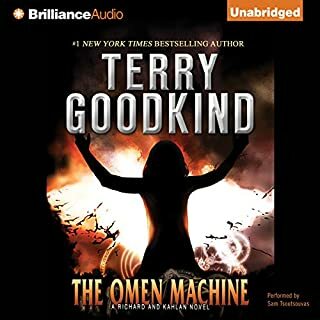 Goodkind makes endless devotions to kahlan’s intelligent green eyes, but she never appears to do anything that would warrant that intelligence. She just seems to get credit for the things that Richard does. The other annoying component of her character was her love for Richard. I know that love was an important part of this series, but come on we understand that she has a special smile just for Richard, we understand that she gives it to no one, but him. I have to admit that the Chainfire Trilogy did not dwell on the endless professions of love that the rest of the series did, but still listening to Richard and Kahlan repeatedly asking the question of one another: Have I ever told you that I love you was painful. 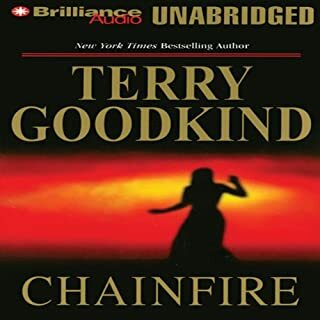 Nicky and Cara were by far my favorite characters within this series, but I think that the only reason for this was that Goodkind did not ruin them with his repetitive and endless character development that he employed with Richard and Kahlan. For all of you like me that are at this point in the series, finish it and be glad you’re done, if you are just starting the series, don’t. This series had great potential and could have been well done, but Goodkind ruined his own creation. I have been looking forward to the end of this series ever since I began reading The Sword of Truth series. After reading subsequent reviews which were quite negative I still chose to purchase this title. I am glad I finally got through the last book, I just wanted to know what happened in the end! But, it was very, very painful listening. I do not think I can handle much more of Terry Goodkind's brand of writing. The first few books were fabulous but when he started fixating on freedom and choice I got a little wary. As the series progresses it just gets worse with each book. There is less and less story and more and more about politics or rhetoric or whatever you want to call it. Really I am extremely fed up with long speeches that repeat the same ideologies over and over again! I am not ignorant, I got the message the first time and the second time and the third time and you get the idea. I am relieved to be done with it all. I will go back and read the first 3 or 4 books because they are the best, but I will NEVER read this one again! Download it, listen to it, and then be content that the series has finally come to a tortured end. Best thing I can say about the book: the series is FINALLY over. Not sure why I kept going with this series -- perhaps like people who throw good money after bad in the stock market, I just kept hoping it would get better. It didn't. The entire Chainfire trilogy paints Richard and the "goodguys" into a corner that they can't possible get out of, only to give a solution in the last few minutes that seems incongruous to the events leading up to it, and made the struggles of the characters meaningless. Very unsatisfying ending to a series that started exceptionally, but quickly went down hill. If you made it this far and feel the need for resolution, go ahead and finish it, but it you're thinking of starting this series, consider looking elsewhere. 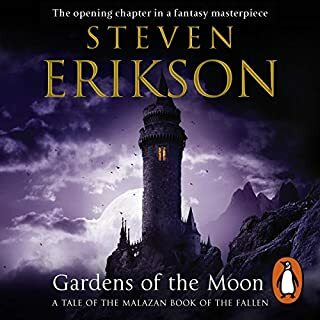 I agree with the comments of the previous reviewer, in that this was the first audio book I have fond my self screaming at to "get on with it" during the long, repetitive and tedious diatribes of the importance of life and individuality. 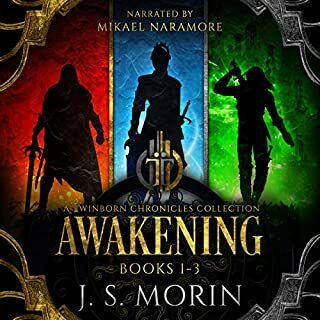 I love the Sword of Truth series, however, after the third read/listen through he gets a little peachy. I caught myself fast forwarding on some speeches. The final Ja La match is the best part in the entire series. 4 to 1!! 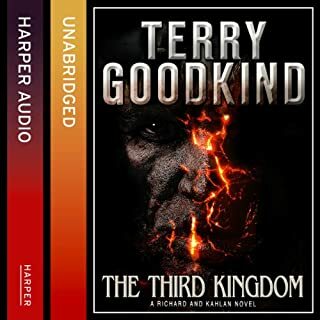 I really think these last 3 books could have easily been 1 book if Terry Goodkind had quit rehashing events from earlier books like we all had amnesia and quit the preaching. I believe he could have gotten his message across without the sledge hammer. What really annoys me is the series started off so well I did want to see how it ended. On another note while the narrator has a pleasant voice he screams to emphasis an emotion and he does it a lot. Never again Terry Goodkind!! I'm so glad I'm done with this series. I will never read another book by Goodkind in fear of his preachy, forceful ideologies. The series started out great and slowly took a turn downhill. Richard's long speeches just about killed me. Adoios Richard and Terry!! loved them all brillian series ............... .. .. ... .. .. .. .. .. ..
the narrator is the best if the bunch. hopefully they will keep using him in forthcoming books! Has Confessor put you off other books in this genre? I have read and listened to hundreds of books of this, my favorite genre. After listening to the narrative performances in audio books like 'Dune'. 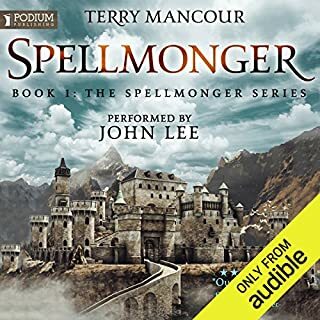 Audio books should be vocally acted out, with narrators either acting the different characters themselves. Or have a cast of narrators to play the parts of different characters. It makes the experience of listening truly engaging and almost three dimensional. Rather than the flat monotone one dimension of listening to someone read lines of text from a book. It is a great pity that the last 3 books were basically one book out into three. As they lost all the pace and excitment of the previous books up until faith of the fallen that I loved reading so much. And since that book have felt increasingly padded with diction and stretched out. What made the experience of listening to Confessor the most enjoyable? What was one of the most memorable moments of Confessor? What does Sam Tsoutsouvas bring to the story that you wouldn’t experience if you had only read the book? The books from 1 to the last book 11 have been more than I could have expected. This last book keeps you engaged and wanting more with all the action coming to a final draw. Enjoyed each character the unfolding of there powers and qualities conveyed by the narrator reading.